iChoice, our annual event, has come to an end and it was undoubtedly a great success! 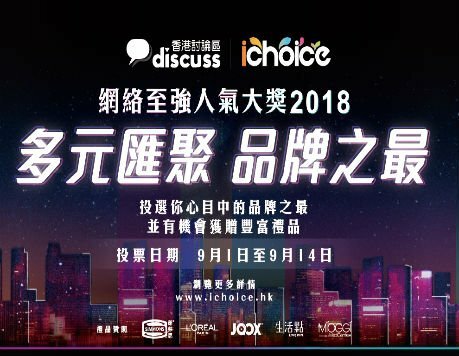 From nomination to public voting, each and everyone in Hong Kong has been invited to vote for their favourite products and services. Congratulations to all winners again and thank you for all the votes and continuous support.